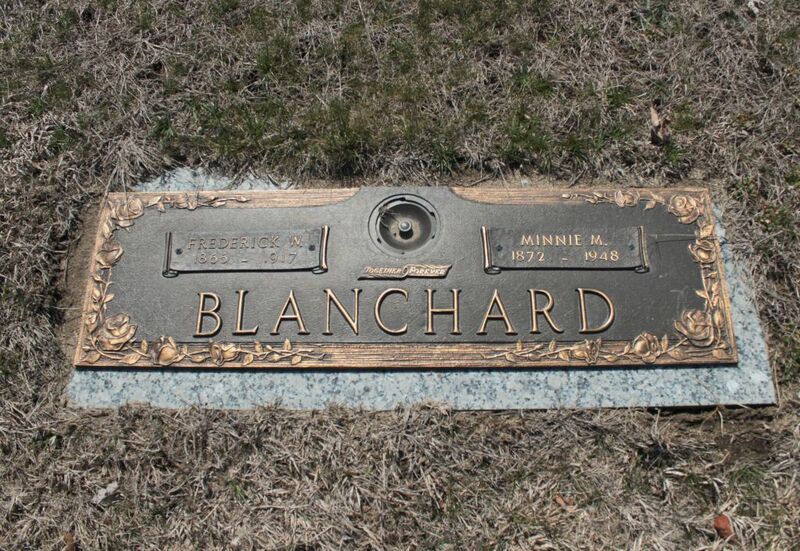 Frederick W. Blanchard had one of the most difficult lives I have ever researched — Orphaned young, possibly left standing at the altar, a widower by the age of 19, and dead by automobile accident when he was only 51. Thanks to Digital Maine, I pieced together parts of his life that I might never have been able to decipher before, particularly the death of his mother and brother in other towns and places. Digital Maine is one of the best resources available online for researchers of Maine ancestors and is among my favorite websites. Try it if you haven’t done so before. Frederick W. Blanchard was born in Cumberland, Cumberland County, Maine, on 16 February 1866, the third child of Albion and Mary S. (Washburn) Blanchard. His older brother, Charles A. F. Blanchard was born on 1 January 1858 and his older sister, Sarah, was born on 4 November 1861. 1868 – A Very Bad Year and a Rough Childhood. It is not clear what occurred to the family, be it fire or disease, but on 7 September 1868, Sarah died at the age of six. Two days later he died at the age of 34. Mary, Charles, and Frederick were destitute without Albion. Where the town paid Albion for his support, now the Town of Cumberland supported Albion’s widow and his two living children. Two-year-old Frederick went to live with his uncle, Charles H. W. Blanchard and the Overseer of the Poor of the Town of Cumberland paid for his board until 1875 (Age 9). His brother Charles also went to Uncle Charles’ in 1868 but wasn’t there during the 1870 Census. In 1872, he was at D. Pittee’s where he worked for board. In the fall of 1872, he left Pittee’s and joined his mother in Saco, Maine. In 1873, Charles went to live with William M. & Samuel Merrill, again to work for board. Charles died on 16 February 1887 at the age of 29. Mary was on the Cumberland pauper rolls from 1868 until 1873. The Cumberland Overseers of the Poor paid $64.31 for the board of Mary Blanchard at David Libby’s. In 1871, she was at the Yarmouth Almshouse. From January until mid-April she lived at A. M. Libby’s in Windham, Cumberland County, Maine when she “left for parts unknown.” In 1872 she located to Saco, York County, Maine where her son, Charles, joined her. Mary died on 2 May 1873 in Saco, Maine. The 1880 Census finds young 14-year-old Frederick still living with his Aunt and Uncle Miranda and Charles Blanchard. 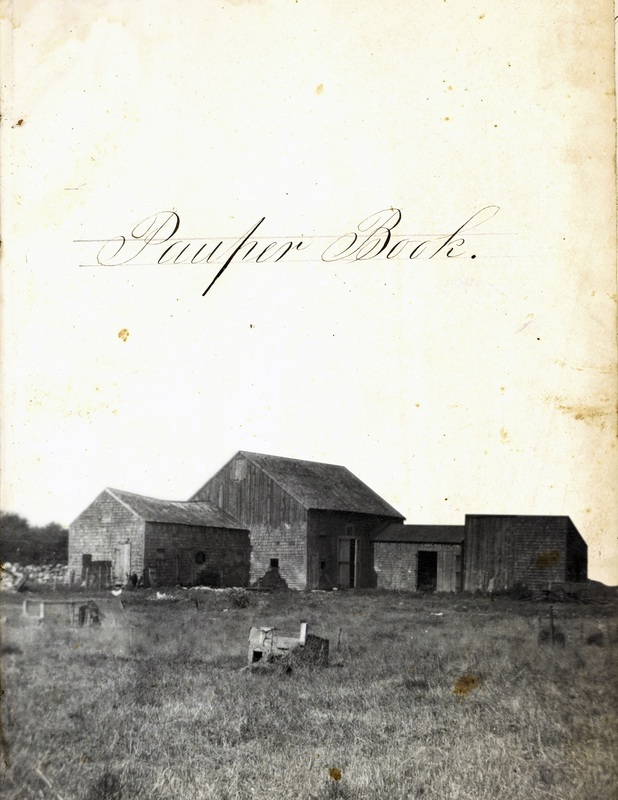 However, the Cumberland Pauper Book is no longer showing Frederick as a recipient of support. Marriage Record – Date and Place of Marriage are blank. 1885 started out wonderful. On 21 Jan 1885, Frederick filed an intent to marry (took out a marriage license) Ida V. Libby. It doesn’t appear that they ever actually married; the license was never returned. We may never know why they didn’t marry. However, five months later, on 21 June 1885, he married Laura C. A. Jensen. Five and a half months later, on 8 Dec 1885, Laura died of consumption. 1886 – A new life with a new wife. Not to be kept down for long, 12 months later, on 14 December 1886, Frederick married Minnie M Bodge. Frederick and Minnie would have eleven children; all were born in Maine. *The 1900 Census indicates that Minnie had six children, three of whom were still living. The three living would be Gracie, Henry, and Charles A. The other three are unknown. Frederick’s occupation reveals itself in the 1894 Portland City Directory which shows him as a plasterer at 466 Portland. He would be a plasterer in the Census records and the City Directories his entire adult life. In 1895 and 1896, Frederick is listed as a plasterer at 30 Chestnut in Woodfords. I have looked and can’t seem to find a 30 Chestnut in Woodfords (Deering). There is a Chestnut in Portland and one in South Portland, but I’m not finding on in Woodfords (Deering). Maybe a street had its name changed. Frederick W. Blanchard died in Maine General Hospital from injuries resulting from an automobile accident at age 51 years, 4 months, 29 days. He is buried in Forest City Cemetery in South Portland. His wife, Minnie, died 31 years later, on 10 Feb 1948. She was buried with Frederick at Forest City Cemetery. Frederick was born in Cumberland; he lived in Woodfords (Deering, now Portland), Portland, and South Portland all within 15 miles. Charles H. Blanchard – Cumberland, Cumberland, Maine, Page 8, Line 33. Frederick Blanchard – South Portland, Cumberland, Maine – District 79, Line 43. Frederic W. Blanchard – South Portland, Cumberland, Maine – Ward 2, District 103, Sheet 2B, Line 80, Family 42. 131 Sanford Street. Town of Cumberland, Maine, Cumberland Pauper Book – [Results of Blanchard search.] http://digitalmaine.com/cgi/viewcontent.cgi? article=1001&context=prince_memorial_library_books. Don’s Private Files: Deed – Minnie Blanchard, Executrix, sold property on Free Street – 1918.pdf. Fred [Frederick] W Blanchard (1865 – 1917) – Find A Grave Memorial #142749158. https://www.findagrave.com/cgi-bin/fg.cgi? page=gr&amp;GRid=142749158&amp;ref=acom. Marriage – Fred W Blanchard and Laura C A Jensen Or Jansen, 1885. https://familysearch.org/ark:/61903/1:1:2HKC1JF. Fred [Frederick] W Blanchard (1866-1917). http://search.ancestry.com/search/collections/MaineDeathRe/1138416/ printer-friendly?ssrc=pt&tid=10416014&pid=220072758160&usePUB=true. Portland, Maine – 1894 – Page 239. Portland, Maine – 1895 – Pages 239 & 240. Portland, Maine – 1896 – Page 249. Portland, Maine – 1897 – Page 746. Portland, Maine – 1899 – Page 265. Portland, Maine – 1902 – Pages 352 & 353. Portland, Maine – 1903 – Page 353. Portland, Maine – 1904 – Pages 352 & 353. Portland, Maine – 1908 – Page 305. Portland, Maine – 1909 – Pages 300 & 301. Portland, Maine – 1912 – Page 317. Portland, Maine – 1913 – Pages 308 & 309. Previous Previous post: Glennis Paternity Project / Roy L Huber?